The Audified U73b compressor module recreates the sound of an old, lush, warm, German vari-mu tube broadcast limiter from the 1960’s. Steven says that the quality and distinction of its sound coupled with the scarcity of the original device make the U73b compressor plug-in a top choice among producers and engineers. Mike takes a look at an emulation plug-in of a valve compressor that has a pedigree in German broadcasting as far back as the Berlin Olympics in 1936. 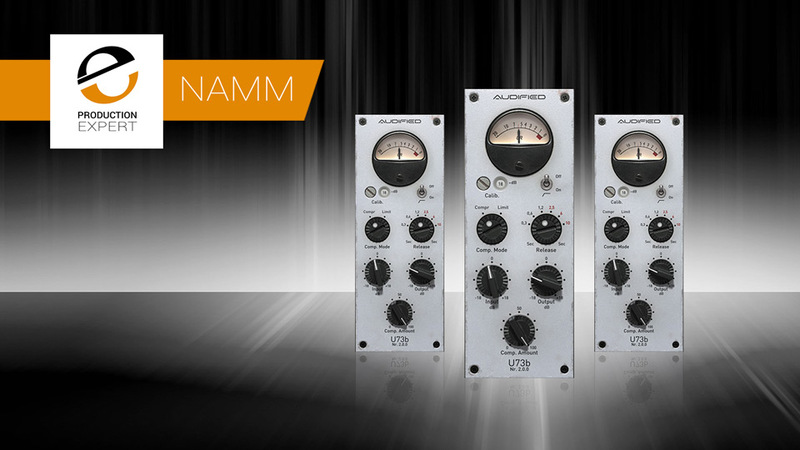 Audified have modeled the hardware in great detail o produce this plug-in. Watch this review to find out what Mike thought of it. In this review Mike takes a look at the new version of this emulation of an old German hardware compressor limiter unit that found favour in German broadcasting and further afield in vinyl mastering. Watch the review and see how Mike got on with it. 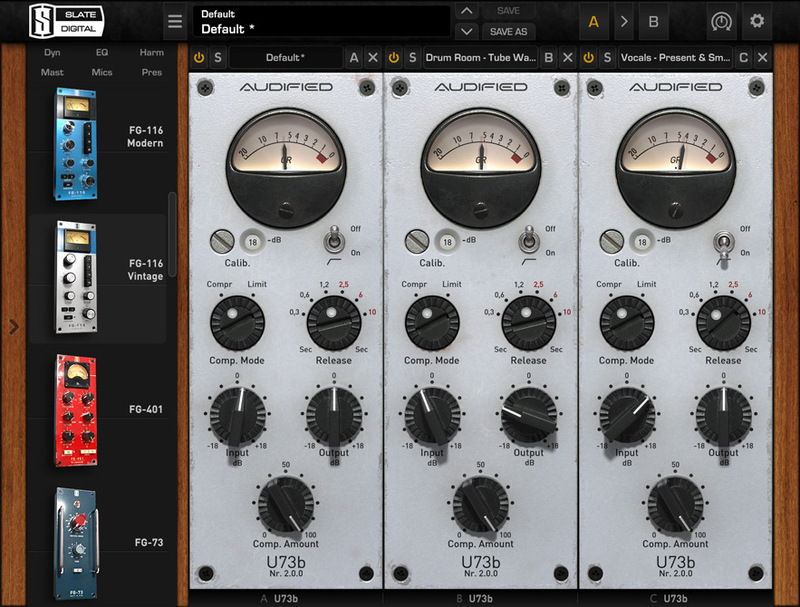 Audified’s revised U73b Compressor stands out from its predecessor released back in May 2015 with an almost photo-realistic rendering of the hardware on which the plug-in is modelled. In addition there is now an area to display numerically editable parameters or menu functions and settings that are not available via the ‘modelled module’ — including Preset Loading and Saving, and a HPF switch. The U73b V2 has true side-chaining to control the compression and improved processing with added adjustable Oversampling. When Oversampling is enabled, the internal plug-in processing runs at a higher sample rate than is set in the DAW to help reduce aliasing distortion that is always produced by nonlinear effect processing and also improve high-frequency processing. There is an automatic gain control option (Auto) with Ein (on) and Aus (off) settings; and -9dB default Kalib. (calibration) setting to help translate the dBu settings on the original hardware unit and referring them to dBFS which is what DAWs like Pro Tools tend to use. Version 2 of the Audified U73b plugin has a language option so if you would prefer to have all the controls labelled in English, you can, as this is now a Preferences option. Working with the NWDR (Nordwestdeutscher Rundfunk) who were responsible for public broadcasting in the German states of Hamburg, Lower-Saxony, Schleswig-Holstein, and North Rhine-Westphalia from September 22, 1945 to December 31, 1955, Telefunken developed the U73, an all-tube, three-stage push/push variable mu design (with a theoretical compression ratio of 100:1), during a three-year period, becasue of the need to conform to the high standards set by the IRT (Institut für Rundfunktechnik) which was the primary research institute for German-speaking public broadcasting organisations — while seeking a suitable solution for handling full-frequency response FM (Frequency Modulation) radio broadcasts. By building the U73 into a Danner double-cassette module chassis like its U76 sibling, the two Telefunken designs shared significant circuitry and components, though the U73 went on to become the fastest tube compressor ever built, thanks to its forward-triggered side-chain feature. Fully finalised, the design was licensed to TAB (Tonographie Apparatebau) in Wuppertal-Elberfeld, West Germany (as was), who manufactured this, the last tube compressor in the Telefunken/IRT grey series for almost 30 years, finally discontinuing it in 1980. Nevertheless, its premier price and fixed setup effectively ensured that U73s only made it outside of Germany for one specific non-broadcast application — as a final mastering compressor for vinyl-cutting lathes, mostly with an automatic release trigger. TAB even ended up making several versions of the U73 for Telefunken, the most well known being the U73b, used mainly for producing audio recordings, thanks to an added ability to change compression level, as well as external release time control and internal attack time control. Consequently, almost all records recorded and cut in Europe between 1960 and 1980 were mastered through a stereo pair of U73b hardware units.